From the innovative wheels within the coring path, to the large 48" (122cm) aeration swath, there's nothing ordinary about the ProCore® 648 aerator. Years of research, customer input, testing and attention to detail went into making the ProCore® 648 the most productive and efficient walking aerator on the market. Deeper, High Quality Holes: RotaLink™ geometry allows the tines to enter and exit the ground cleanly leaving a high quality result. Ease of Operation: A single switch on the handle controls the tine head and a handle bail engages forward and reverse. No shifting required. A fail safe system stops the machine and lifts the coring head if bail handle is released. 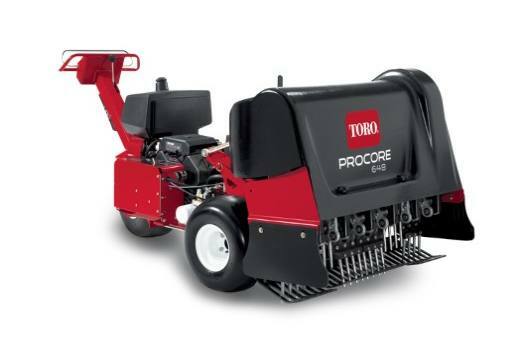 Efficient Aeration: The ProCore 648 is more efficient with a 48 inch (121.9cm) aeration swath that is 50 - 100 percent wider than competitive units. High Productivity: The ProCore 648 allows you to aerate more areas in one day with the 48 inch (121.9 cm) aerating swath and clean up is easier and less labor intensive resulting in less time. Innovative Rear Wheel Placement: The wheels are located in front of the aeration head so they do not drive over the freshly aerated turf and run over the cores. Series/Parallel 3-Wheel Drive: The patented 3-wheel series/parallel traction drive, combined with high-torque, low-speed wheel motors, prevents slippage for reliable traction and even hole spacing. Smooth, Quiet, Powerful: To give the ProCore 648 its uncommonly smooth operation, the action of the tine arms are modeled after a six-cylinder car engine. The arms work in pairs to counterbalance the coring action. 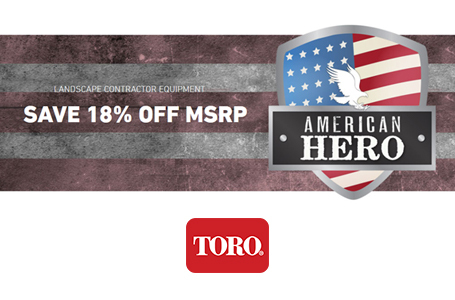 This precise configuration virtually eliminates hopping, rocking and unnecessary vibration. TrueCore™ Ground Following: TrueCore™ sensing system automatically maintains tine depth on the fly to match the ground undulations providing consistent coring depth of up to 4" (10.2 cm). Variable Hole Spacing: The ProCore 648 gives you more control with variable hole spacing ranging from 1.5 inches to 3 inches (3.8 cm to 7.6 cm) apart. Rear Roller: Full, rear roller smoothes turf and eliminates tire tracks on cores or freshly aerated turf. Windrower: Directs cores into neat, narrow rows for easy collection and removal. Tine Holders: Customize your aerator with a choice of five tine holders. Tire Scrapers: Removes any soil accumulation from rear tires. Weight Kit: Up to two additional 60 lb. (28.6 kg) weights can be added to ensure maximum penetration in hard soil.